Christine KAURdashian: Prince Harry & Meghan Markle are Engaged! Prince Harry and Meghan Markle made their first photo op in the Sunken Garden at Kensington Palace. Wedding bells are in the future for Prince Harry and his girlfriend of over a year, Meghan Markle. Clarence House, the official residence of the Prince of Wales and Duchess of Cornwall (aka Camilla Parker Bowles) announced the news. The Prince proposed earlier this month and has informed the Queen and the rest of the royal family of the good news. Once they pair marry, they will be the Duke and Duchess of Sussex. The wedding will take place in the Spring of 2018, around the same time Royal Baby #3 is due. The Royal family is equally thrilled and made their happiness known via social media posts. 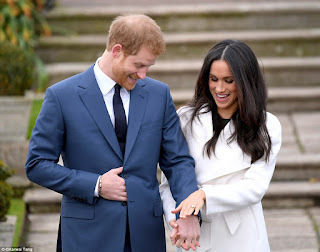 Markle, a 36 year old American actress known for her role in Suits started dating the 33 year old Prince back in the Summer of 2016. It is believed they met in Toronto, where Markle was living for a time. Interesting. Finding love. In Summer '16 in Toronto. Is there a Drake connection here? Both William and Harry ended up settling down with commoners, is interesting to note. These aren't the Royals from their parent's or grandparent's time. 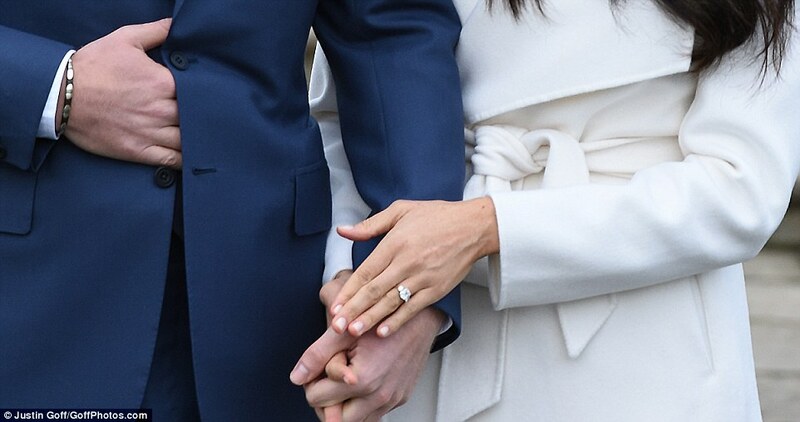 Markle is the first American to marry into the Royals since 1936, when Edward VIII gave up the throne to marry American divorce Wallis Simpson. She's also of mixed race, a divorce herself and is independently wealthy. Cute Destiny's Child "Independent Woman". Congratulations to the happy couple! I'm looking forward to staying up all night to watch this affair unfold.